You know that you found a wonderful product when it can be used for breakfast, lunch, dinner and dessert. As a busy wife and mother of two, I am constantly looking for “staples” that I can have in my cupboard that I can bring out to add to any occasion. So when I was asked by J.M. 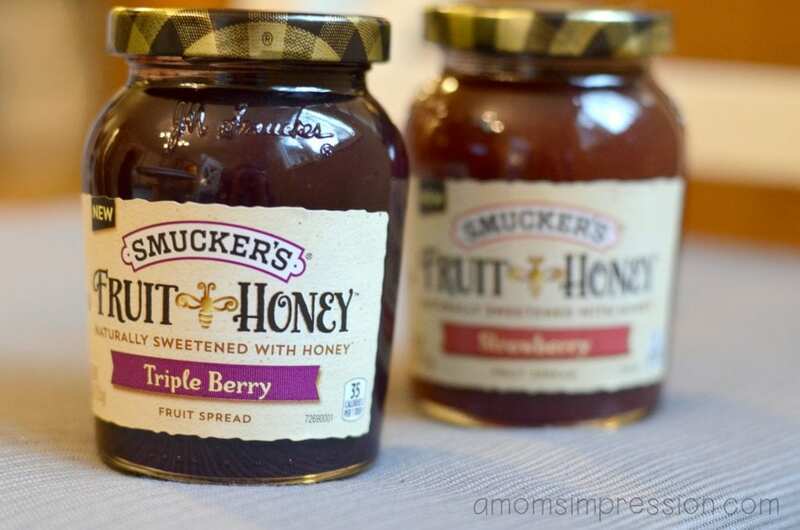 Smucker Company to brainstorm some fun and inventive ways to use their new Fruit and Honey naturally sweetened fruit spread I thought to myself that this is a perfect opportunity to add some great recipes to my repertoire. This new product is exactly what I was talking about above. It can be used in a recipe for breakfast, lunch, dinner or dessert. I started thinking about breakfast. 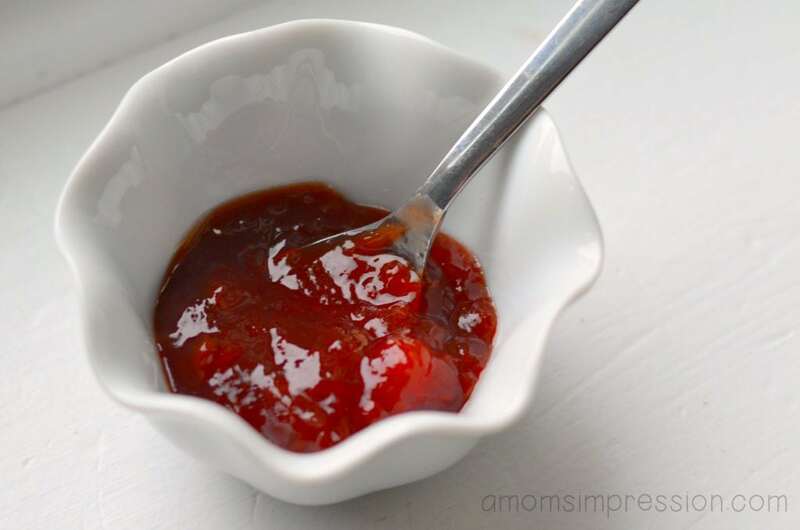 Obviously, everyone knows that you can put this spread on your toasted breads in the morning. This is one of my sons favorite things to do. But I was thinking of some other things that you could use it for that would add a quick upgrade to a normal routine breakfast. The first thing that came to mind was using it on waffles and pancakes. This doesn’t require any particular added preparation or recipe. Just add the spread on top of the warm pancakes or waffles and your have added so much color and flavor to a breakfast staple. As for lunch. Well, my son also absolutely loves peanut butter and jelly sandwiches. For a while that is all he would eat. But I wanted to think outside the box a little bit. Have you ever had Monte Cristo sandwiches? Just get some English Muffins, Canadian Bacon, Swiss Cheese , Dijon Mustard (I feel like we are representing a lot of countries in this recipe!) and add some J.M. Smucker’s Fruit Spread. Put the mustard and spread on the muffin, add the cheese and meat and heat up. Sweet and savory! How about dinner? I was thinking about a nice lean pork chop on the grill. With a topping of the Triple Berry Fruit and Honey Fruit Spread. Delicious! The options that you have for desert are almost endless! Which one should I select? I think that I’ll go with Chocolate and Triple Berry brownies. Again, you don’t need to do anything too special or different with your favorite brownie recipe. Just make it the way you normally would. When you pour it into the baking pan to put in the oven, pour some blobs of Triple Berry Fruit and Honey into the batter. Get a butter knife and weave the fruit through the batter in a swirling pattern. Then just bake as usual for a delicious treat! J.M. 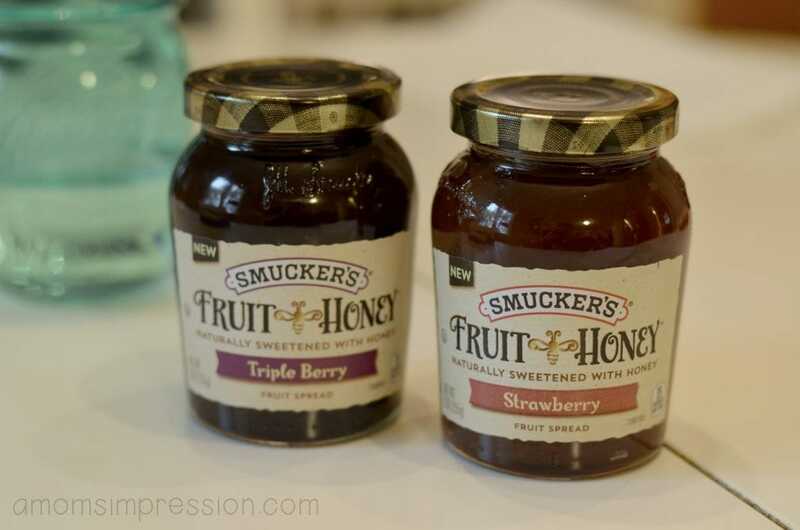 Smucker’s new product is a wonderful addition to their well-known line of products that have been satisfying families for years and years. Now they are able to bring their delicious taste to our tables using honey to naturally sweeten the fruit. Make sure you have a jar of this in your pantry to be used for any occasion. You can even download a coupon for $1 off by following this link! 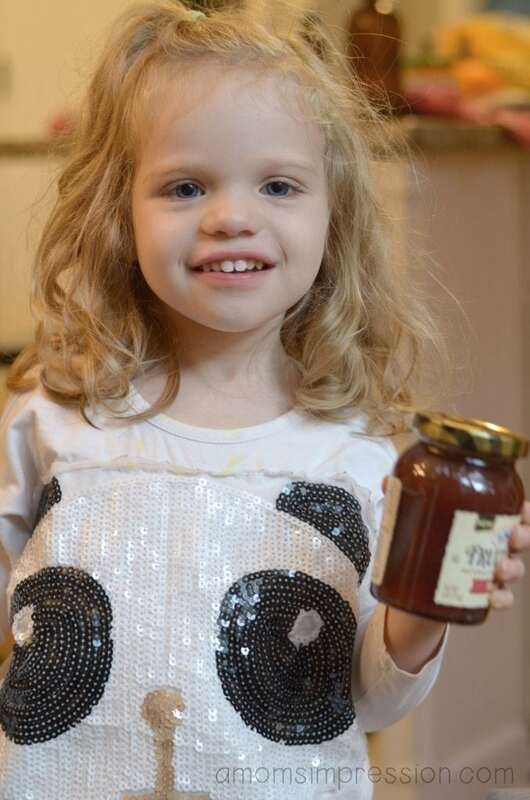 Head to your nearest Walmart today to grab a jar of the new Fruit and Honey Fruit Spread. It comes in Strawberry, Triple Berry, Blueberry Lemon and Tropical. Grab one and start spreading the news!